We are very lucky to work with two local wholesalers who source flowers from the auctions in Holland as well as directly from English growers. 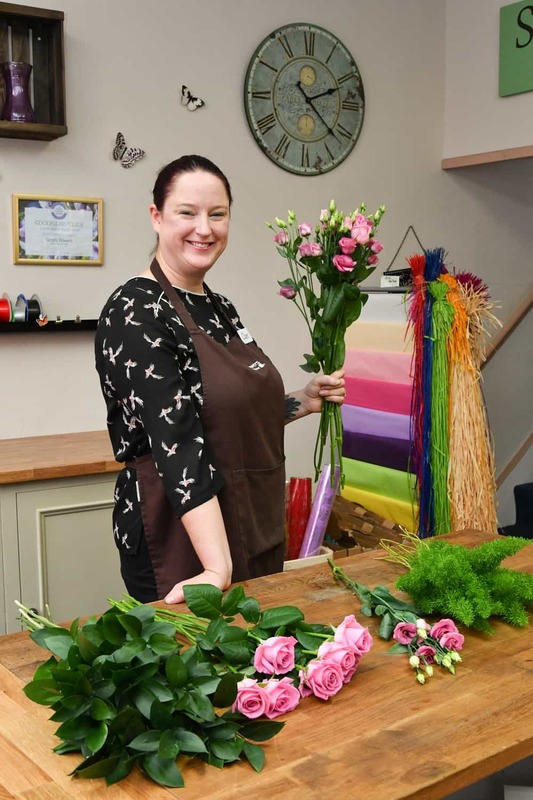 They are well established companies who match our enthusiasm for sourcing high quality flowers and getting them to our customers as quickly as possible. 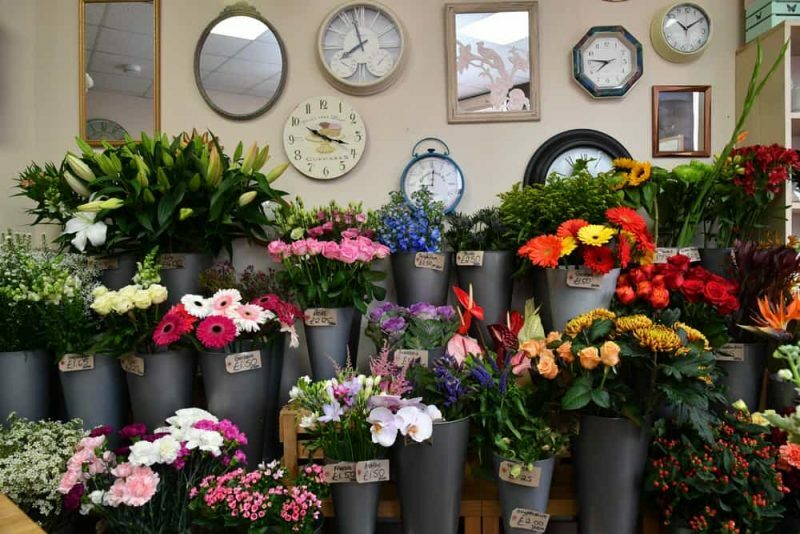 Flowers are transported overnight and are in the shop in the early hours ready for our florists to arrange for you straight away. Once in the shop we use high quality Chrysal and Oasis branded products throughout to provide good water uptake and a long vase life. See our FAQ page to see how to care for your cut flowers. All this effort guarantees your flowers are exactly what you want and they are fresh, beautiful and long lasting. We’re so happy that so many of our customers have taken the time to recommend us and write reviews of their experience with us. 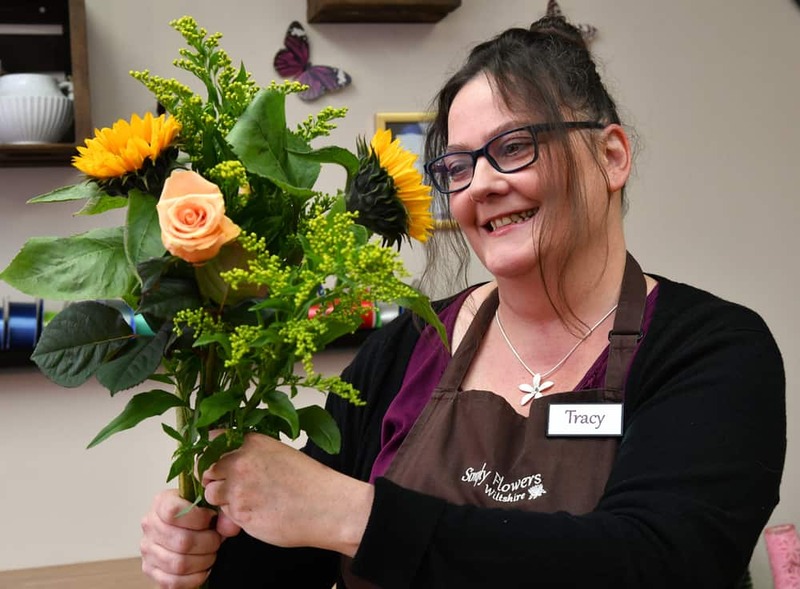 We really hope that our focus on providing friendly, professional service will make your experience of ordering flowers a positive one. We’d love to hear back from you! Please contact us! Hi Briony, Before we head off on honeymoon I just wanted to say Thank You so much for the beautiful, beautiful flowers you did for us at the weekend. I was a bit fraught when you brought them round, but trust me they were absolutely what I wanted. I had so many compliments... So very, very pretty indeed. (Oh, and the Mums were made up with their posies - perfect). We'll make sure you get some pictures in due course! Dear Briony, Thank you SO much for all your help and advice regarding flowers and all things floral for Caroline's Wedding. Your patience and expertise are amazing, also your encouragement. The archway way truly a thing of beauty, just glorious and all the extra touches of pretty name labels on flowers and buttonholes. We are truly lucky to have you in Calne. Dear Briony and the team, I just wanted to thank you for the amazing job you did on my wife's anniversary flowers. She said they are absolutely stunning and by far the best bouquet she has ever had. They were the talk of the entire nursery apparently! Thank you so much for doing such an excellent job, I shall certainly be coming to you for all flowers in future. Dear Briony, Thank you so much for meeting with us on Friday. It was really exciting to discuss wedding flowers and especially whilst sipping tea from your beautiful teacups. We loved your ideas and arrangements. I'm so excited about my bouquet! We would love to go ahead with an order. Briony, the flowers you made for our wedding were beyond beautiful! I am amazed you managed to capture my idea so perfectly. They were stunning so thank you. I would like to take this opportunity to thank you and your team for the most beautiful flowers for my mums funeral yesterday. It was just as requested. The garland around the coffin was perfect she would have been thrilled with this. Hi Briony Just to let you know how pleased we all were with the flowers you arranged for us. They were lovely, my mum would have loved them! Regards and thanks very much. Dear Briony Thank you so much for the gorgeous flowers, they still look lovely three weeks on! Dear Briony and Simply Flowers Thank you for the beautiful flowers you provided for us and the floral decorations at Stanton Manor. They were all magnificent, especially the bridal bouquet. Thank you for helping our wedding to remain a very special memory. Dear Briony Thank you so much for the beautiful flowers. Everyone has said how perfect they were.